Suitable for various indoor applications. Shielding: ‘LEDIL’ lens in translucent. Finish : Housing is finished in broken white, after pre-treatment, in thickness of minimum 50 microns or in anodized aluminum, buffed aluminum/ SS finish. Light Source: CREE XPE 3 Nos LED of 1W 100 lumens each in cool white, natural white, warm white, viewing angle 27º. Established in the year 1994, we Rubycon Electrical & Electronic Industries are engaged as a manufacturer, supplier and exporter of a quality range of Luminaires, Downlights, Flood Light and Light Fittings. In this range, we offer Darklighter Luminary, Cellular Soft Light Luminaires, Curve Luminary, Wing Luminary, Darklighter Luminary, LED Ceiling Downlight, LED Flat Panel Downlight, Recess Fitting and ECOS LED Down Light. Furthermore, we offer LED Ceiling Downlight, Single Ended Integral Rectangular Flood Light, High Bay Fitting, Light Fitting with CRCA Reflector & Acrylic Reeded Diffuser and Induction Lamp for Armstrong Ceiling, among others. Owing to quality attributes such as long functional life, energy efficiency, excellent finish, easy installation and shock-proof exterior, these lighting solutions are demanded in the market. These products find application in showrooms, commercial places, offices, shopping areas and passages. 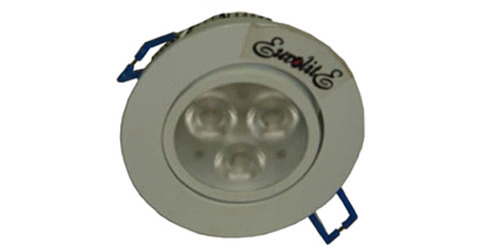 Our products are marketed under the brand name 'Eurolite'.